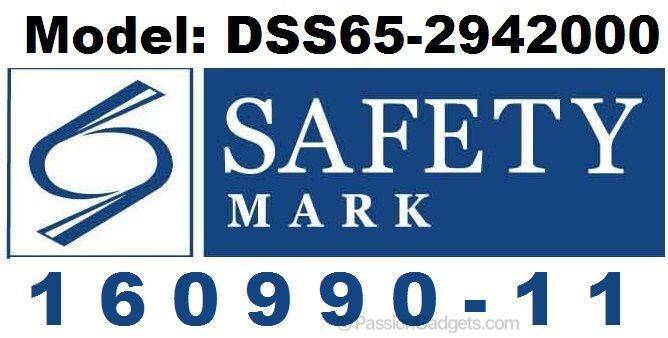 FREE Identification Mark Stickers Promotion! For all new scooters purchased from us from Feb 2019 onwards. 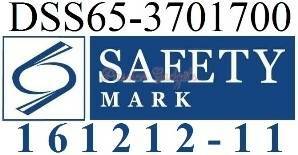 Do show us your receipt or warranty card as proof of purchase. For Registration, simply drop by our store, and our staffs will assist you with the registration (You will need to login with your SingPass). Display set available for Test Riding with no obligations at our Retail store! Click here for Maintenance Guide & Precautions. Click here for Electric Scooter FAQ on Personal Mobility Devices (PMDs). Brand New! Authentic! 100% Genuine! 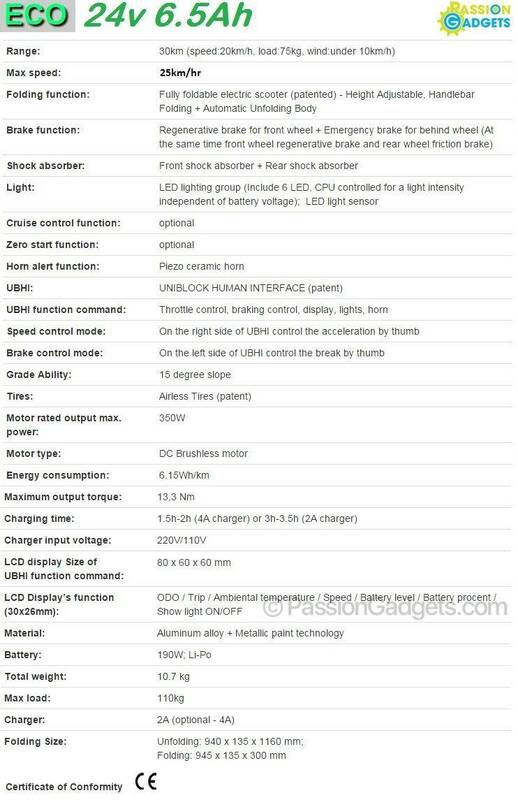 The Passion E2 (E-Twow S2 / Etwow Gen 2) also known as Zoom Air 2, Scoooby, Nova scooter, ESG scooter under different marketing name. Original name is Etwow, produce by Etwow Factory in China for europe market. What's the difference between Zoom Air 2 and Etwow2? 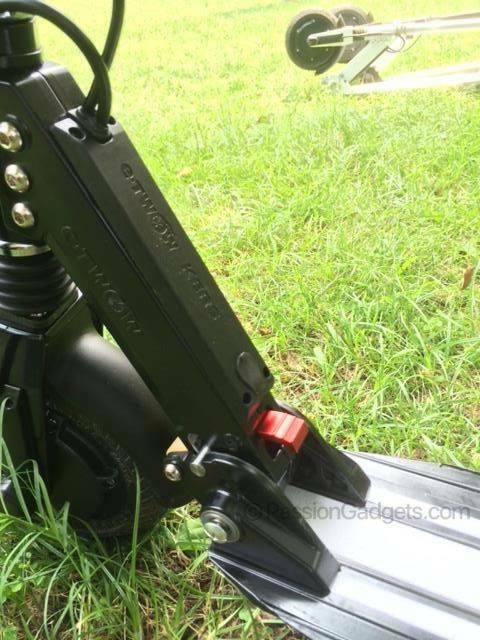 Ans: Zoom Air scooter come with Zoom logo stickers on the scooter, warranty covered by Zoom (Price $1099). 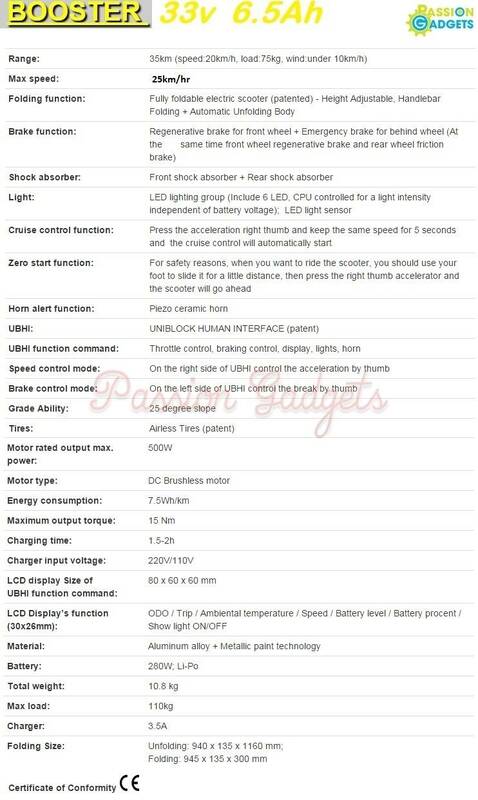 PassionGadgets Etwow 2 without zoom sticker, warranty is covered by PassionGadgets (Price $849). How safe is our warranty compared to zoom? Our warranty covered the same as Zoom and we do sell spare range of replacements parts. 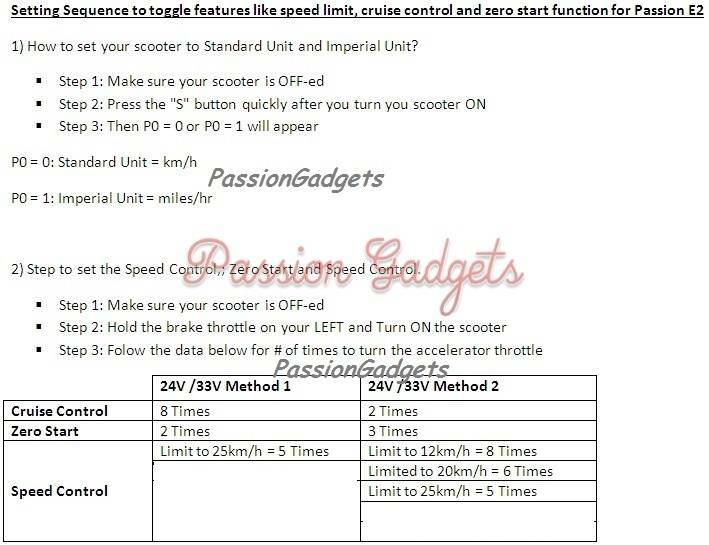 New Cruise control: While travelling at constant speed, hold acceleration throttle for 3 seconds. Speed Limitation System: Able to set maximum speed limit when full throttle. Lock speed at lower speed for children safety. 1) Lightweight and compact for you to carry everywhere. 2) Varied application: individual,business,tourism,sports,daily use,adult,youth,elder,holiday gift. 3) Say NO to pollution and consumption. 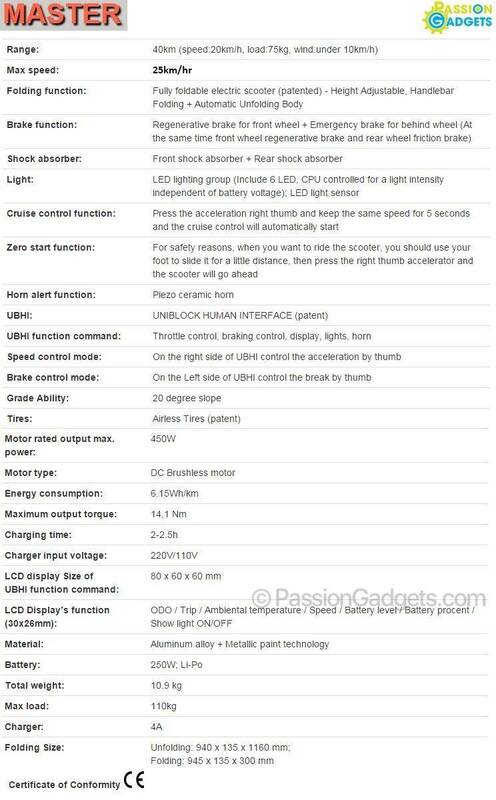 4) Advanced new technology: Cruise control and Speed limitation control. 6) Strong factory and experienced Europe engineer. * The specification can be changed by manufacturer without notice. * The distance on the specification is 60kg load, flat terrain with 20km/h constant speed riding basis. * The driving distance can be shortened by the driving environment and the driving way of user. * The distance can be affected by loaded weight, wind direct (wind speed), road condition, slope and tire condition. Imagine you riding the E-TWOW electric scooter whose weight is less than 10.5 kg. You can comfortably ride this electric scooter everywhere for relaxation: in the morning, with E-TWOW electric scooter, you can admire the beautiful landscapes in the city, without breaking a sweat. Less time riding and practicing, less time pushing and walking. You can also use your feet to do sports. Press the acceleration right thumb for 5 seconds and the cruise control will automatically enter. In addition to being an amazing ride, it's also the perfect newest electric vehicle. When it comes to short trips, you can finally stop worrying about parking, traffic, garages, gas stations, pedaling, bike locks and pushing. With E-TWOW electric scooter, you can run quick errands, go to work and shopping, go to park, get around campus, or link up with public transit, up to 35 km with long range battery before recharging. But most importantly, you'll enjoy the ride every day. We can electronically limit the top speed without sacrificing the power you need to go on hills. On top of that, we've added regenerative braking by using KERS technology. It's easy to learn, easy to handle and easy to control your speed using the brake, while recharging the battery. We have a solid background in mechanical and electrical engineering. 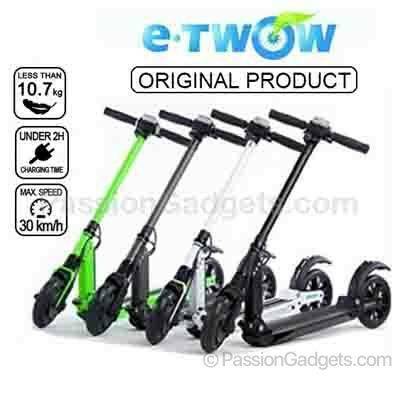 As a result of the implementation of the 4 patents held and another 10 patents pending, the E-TWOW is the first and only electric portable scooter to be developed under the KERS technology (KINETIC ENERGY RECOVERY SYSTEM) and the first to implement MAGNETIC BRAKING SYSTEM. We joined our revolutionary technology with our favorite components and thinking and achieved to make the newest and most useful vehicle in the world. 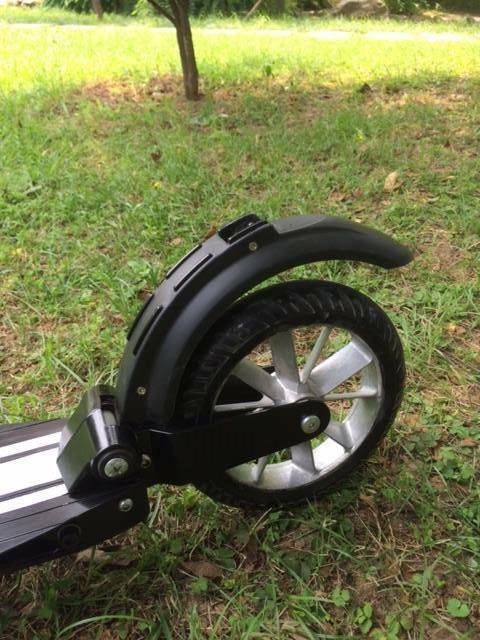 Changing the transportation and the perception of what a vehicle can be, that’s the goal of E-TWOW scooter.